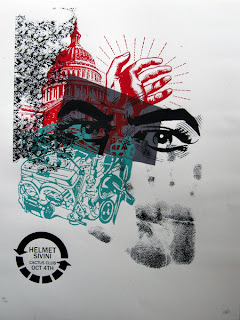 Bureau of Print Research and Design: Helmet Poster @ Cactus Club. Helmet Poster @ Cactus Club. 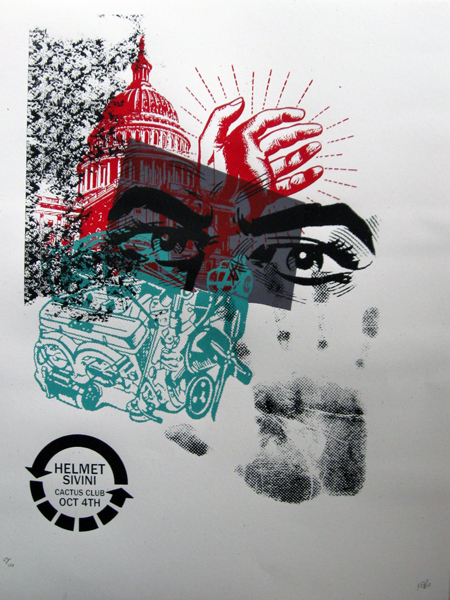 Here we have a poster for the Helmet show in Milwaukee at the Cactus Club. Helmet is one of the most influential bands from the early 90's. They have crossed all sorts of different genres of music. This is going to be a HUGE small show. Time to put on your monkey suit!